Yet again, Smith Brothers (Leicester) has been featured in the Leicestershire’s top 200 companies. The main question that everyone is now asking, is “where is the business featured?” The answer is 62. This was published on the 19th of June 2018, by the Leicester Mercury in association with Leicester Castle Business School, De Montfort University. A copy is proudly displayed in Head Office reception and available online through the Mercury website. From 2017 both our turnover and number of staff have increased, highlighting constant and sustainable growth year-on-year. The main three factors SBS pride themselves on are stock, service and staff. The company endeavours to grow alongside the customers creating history and success together, with over 120 years of trading we believe it is working. Smith Brothers try to ensure staff feel valued as they are placed very highly within the organisation. The family run business celebrates 10 and 25 years of service, claiming to treat staff like family. In 2018, a new branch has now been opened in Gateshead, Newcastle, taking our depot network to 14. This allows SBS to service the northern region with greater capacity bringing unrivalled stock levels to the local area. 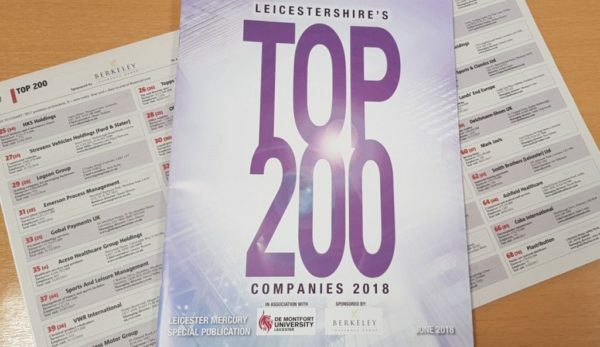 The Top 200 list is released annually by the Leicester Mercury and produced by a team of academics and lecturers from De Montfort University, with it being sponsored by Berkeley insurance group. This ranks businesses by turnover that are active, and who are not dormant, or in receivership. The total turnover is made up from data held at company’s house. Depending when companies publish their financial statements depends on the accuracy of the data. As the figures are always slightly behind the publication date but we are expecting another good performance in the Top 200 next year, hopefully with greater growth and higher placed ranking! !